Argentine people love eating. Food, most of the time homemade food as a way to show affection, is at the centre of every gathering. As soon as you put a foot into somebody’s house, you will be offered something to eat. Inviting friends at home for dinner is something you do every week, often in the middle of the week, regardless of early starts next morning. 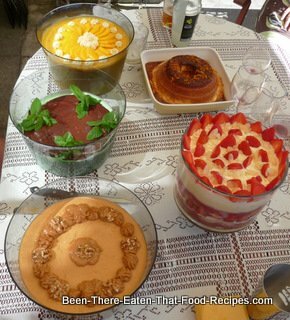 Any occasion is valid for getting together and eat: not only the obvious ones such as birthdays or special days, but also to farewell friends going on holidays, to integrate new neighbours, etc. If you think that lunch time meals are light, you are very wrong. 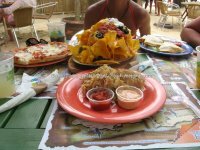 Midday lunch (well, at 1pm more likely) is normally the main meal of the day. Everything stops at midday: businesses, offices, shops. Argentine opening times are fixed, with three 4-hour slots: two of them for morning and evening activities, and another one in the middle for you to go home, have a long and complete meal, maybe have a siesta, and then go back to work again until late. 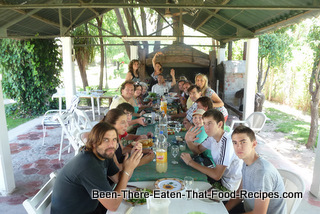 And of course: Sunday family meal is a must, usually involving asado (argentine barbecue) or pasta. Another custom (Italian-style) is the picada, consisting of assorted selection of cubed cheese and cured meats, olives, etc, generally served cold and accompanied by drinks and just before the meal, while the last preparations for the meal are taking place. Hopefully - considering the eating habits and the high beef intake per capita - with the consumption of excellent and locally produced red wines, the Argentine population could replicate the French and have a very own Argentine paradox... (French Paradox). 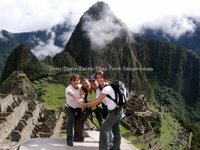 "Slowkar invites you to an unforgettable experience. 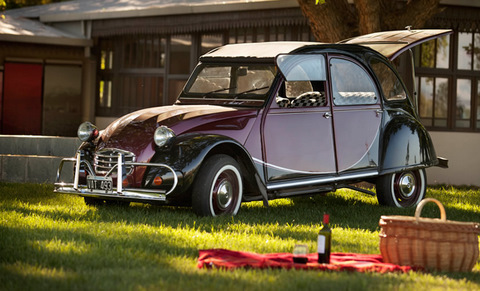 Driving a charming Citroen 3CV car with the wind in your hair and the perfumes of the countryside driving along the Andes Mountains, The Oasis Mendoza City, the wine roads, wine roads and more wine roads. 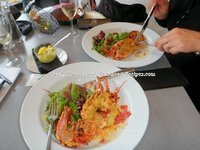 Savouring the pleasure of driving far away from traffic, discovering slowly the daily life of the locals where you can still taste the regional cuisine, following our suggestions and always relying on kind and discreet assistance". It sounds good, doesn´t it? Have a look at their website. They provide suggestions (picnics?) and even give you all the information you may need: from how to prepare an “asado” to how to make yourself a “mate” (more on “mate” below). Click to watch the video. but primarily based on beef. 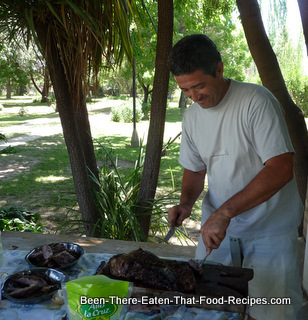 Asado is by far the more representative dish of the country, followed by empanadas – each region having their own specialty. There are many regional differences either in the selection of dishes prepared (some of them dating back to the original native Indians recipes), or in the method used for cooking them or in the local variation of a national dish (such is the mentioned case of the empanadas). Note: for full recipes, click on the links! 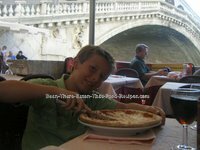 And no forgetting the Italian-style ice creams (see gelato ), with some local touches, such as the Malbec flavoured ice creams, e.g. 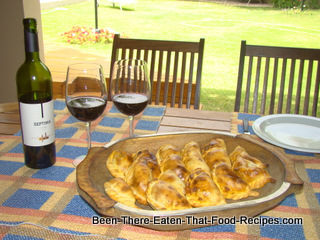 Vainilla al Malbec ( click here, and then in "PRODUCTOS" and "SABORES"). Did you know? 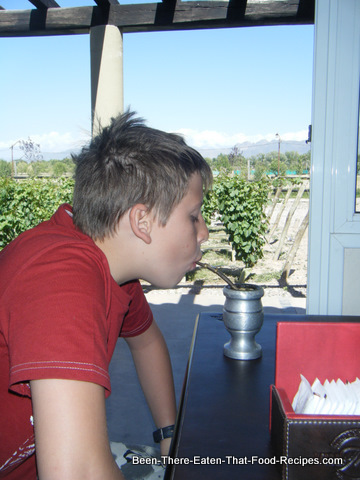 As characteristic as the Tango, the mate is an infusion of the leaves and twigs of the yerba mate. 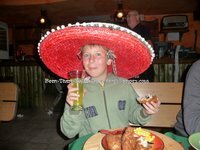 It is served in a recipient made of different materials, as an emptied gourd for example, and it is sipped through a straw called bombilla made usually from metal. It is quite bitter, so it is normally sweetened with sugar or sweeteners and flavoured with herbs such as mint, or orange peelings. You add all into the mate, and then you add nearly-boiled water to fill it up. The mate is a drink you usually share. Family and friends in small groups and a mate that passes from hand to hand. 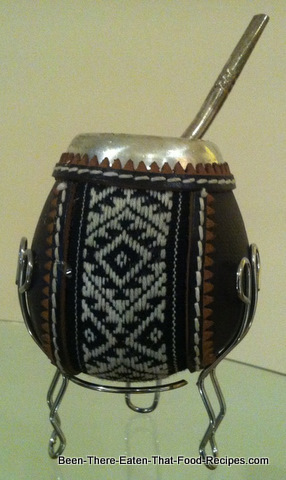 One person in the group is in charge of preparing the mate initially, and then after each turn, accommodating the preferences of each participant: with more o less sugar for instance, and wiping the bombilla between users. It has its rules. You never say "thank you" unless it is the last one you are having. And it has its secrets: you never let the water to boil for a mate. The idea is to keep it foamy and with the leaves floating. If the water has boiled (burning the leaves) or after many rounds, the leaves tend to go down and the mate becomes “lavado”, lacking in flavour and appearance. You can also have mate on your own although, while revising for a test, with many students surviving mainly on mate during examination periods. You are not stuck to drink it at home, you can carry the equipment around: a mate, a sugar and yerba holder and a flask with the nearly boiled water. Now, you can even find automatic nearly-boiled-water–providers at service stations to refill your flask. 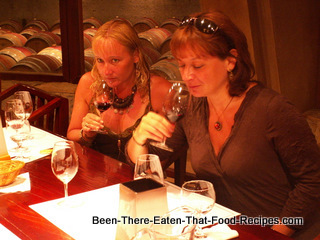 - Return from Argentine Food to Food Recipes.